Many young kids often daydream about being super heroes and saving the world from the evil bad guys. Some might pretend that they are G.I. Joe and driving around in a tank. For one man, his childhood dream of riding around in a tank became a reality. 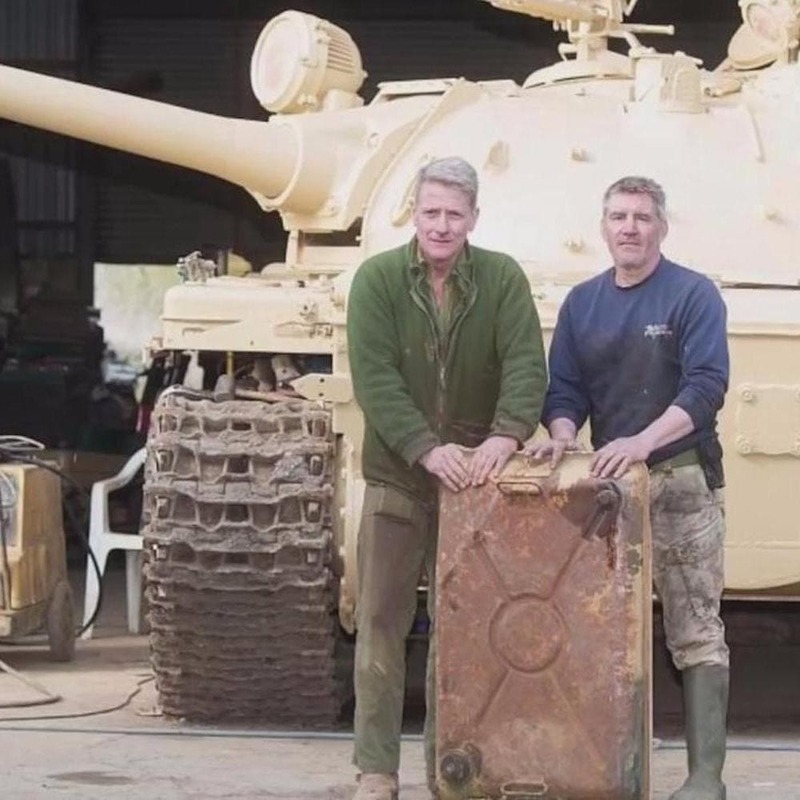 Nick Mead got the opportunity to operate a tank but he never expected to find out what was inside. 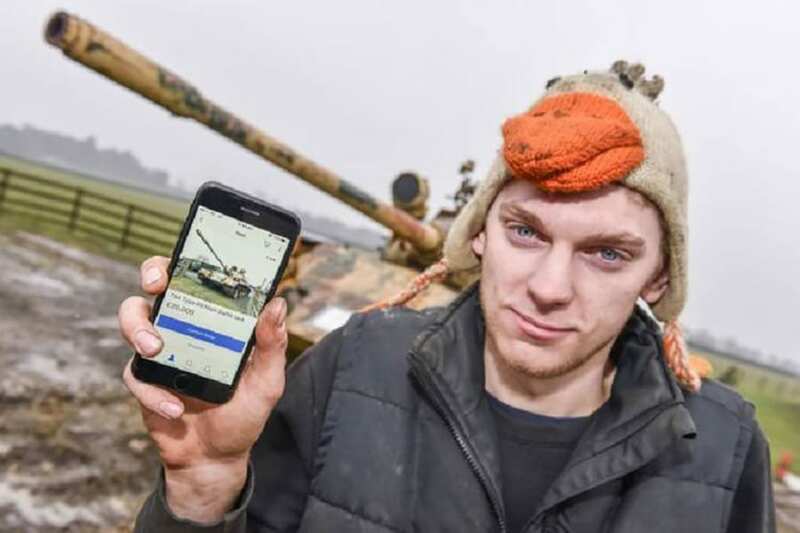 We know you are probably wondering how Mead, the owner of a farm, would be able to get his hands on a giant weapon such as a tank. As it turns out, it is easier to purchase and drive a tank than one might think. 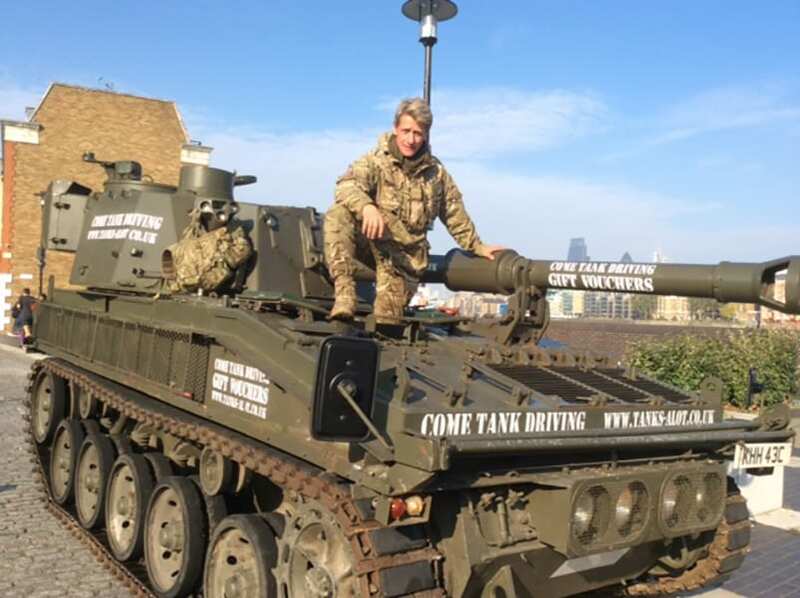 There are actually companies that offer tank driving lessons and tours of cities. So get ready to follow Nick Mead and his mechanic Todd along on their real life adventure and figure out how this small town man got ahold of a full-sized tank. 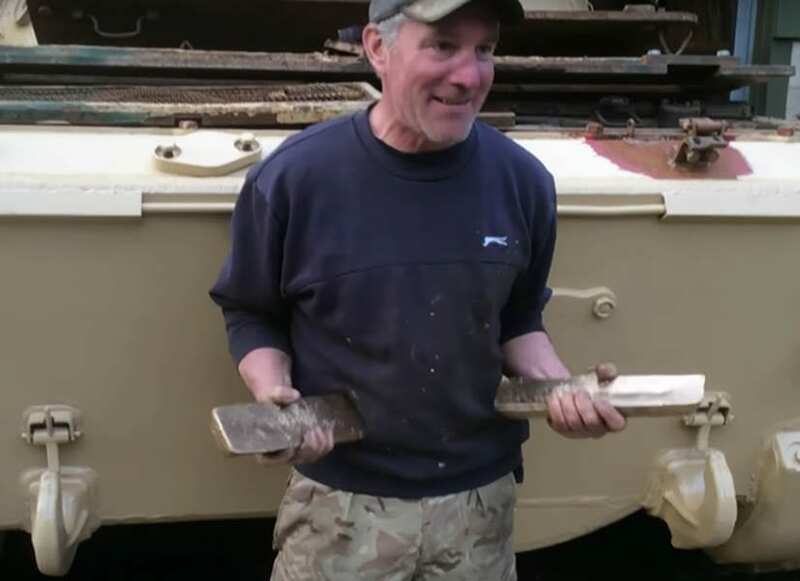 Nick Mead is a real tank enthusiast. The collector runs a business revolving around tanks from his farm in England. Mead hilariously named his company, Tanks-alot and the business supplies the giant machines to wide range of projects such as television shows and films. He also lends out his tanks for private events and he even gives driving lessons for patrons who are interested. 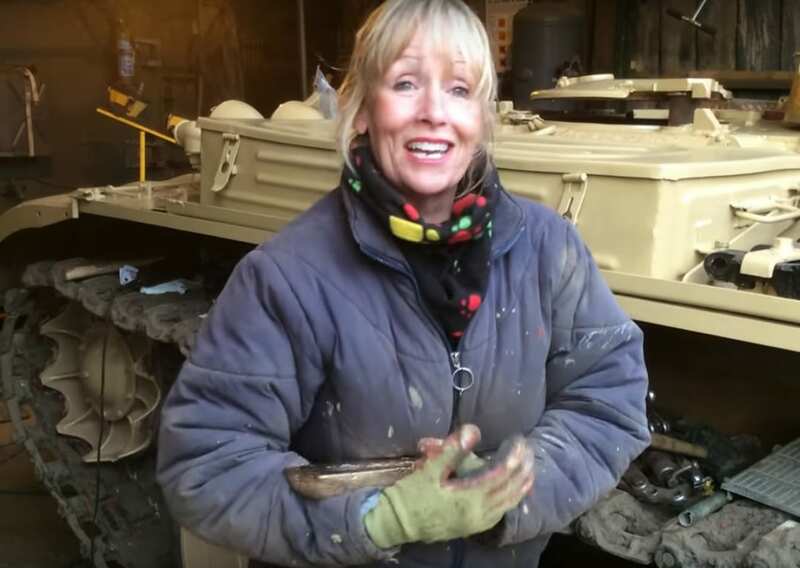 If you are ever in Helmdon, England, you too could take a trip to drive one of Mead’s tanks. As one could imagine, driving a tank is unlike any other experience. 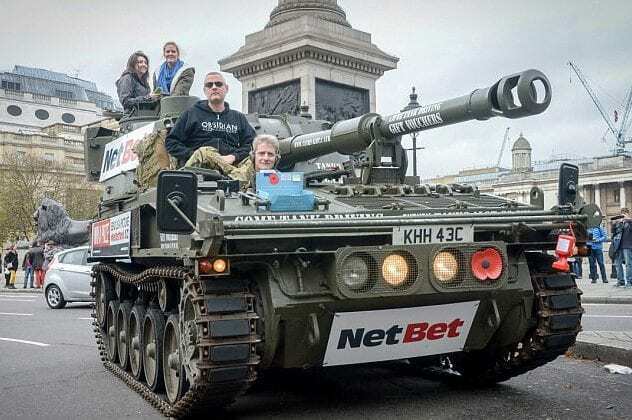 A tank is a massive vehicle that can crush the items it drives over so it offers a lot of adrenaline and excitement to the people who get behind the wheel. Any adventure seeking would love the opportunity to ride around in a tank. 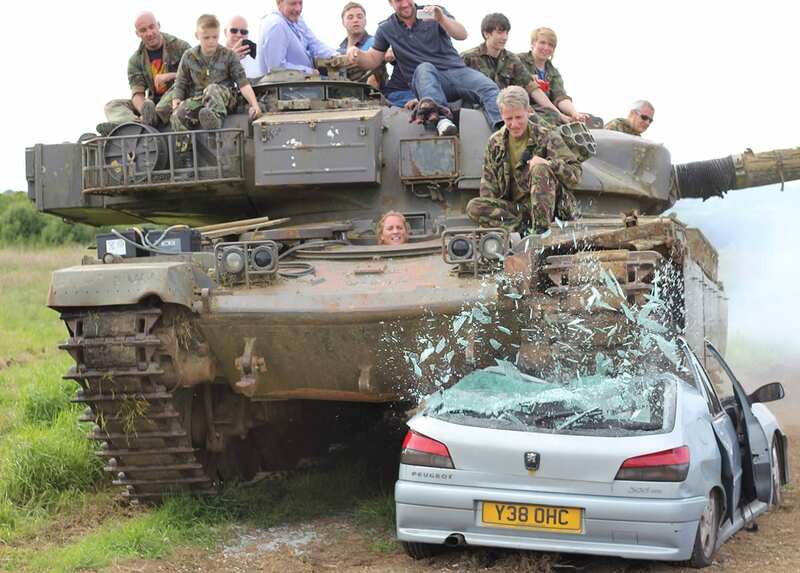 Some skydive or go zip lining to get a dose of exhilaration but others chose to crush cars with tanks. When Nick Mead chose to open his tank business, he used his farm as the perfect place to store then and drive them around. Mead has a whole team that supports his business and he has a larger clientele than you might expect. While most would assume that purchasing a weapon of war would be nearly impossible, Mead looked into it and found that collecting tanks was easier than he originally thought. Mead also later discovered that tanks sometimes come with surprises. 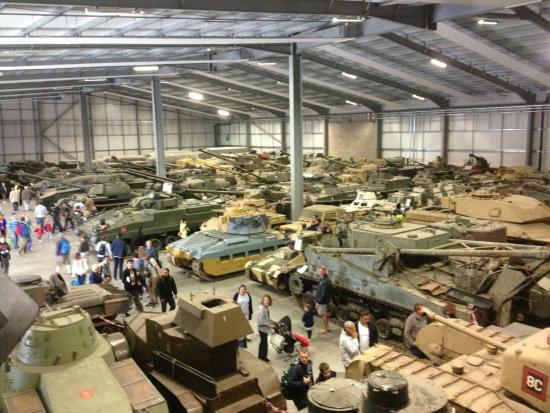 Nick Mead has amassed quite the tank collection and is now the owner of 150 of the giant machines. At this point, Mead could start an army if he had to. 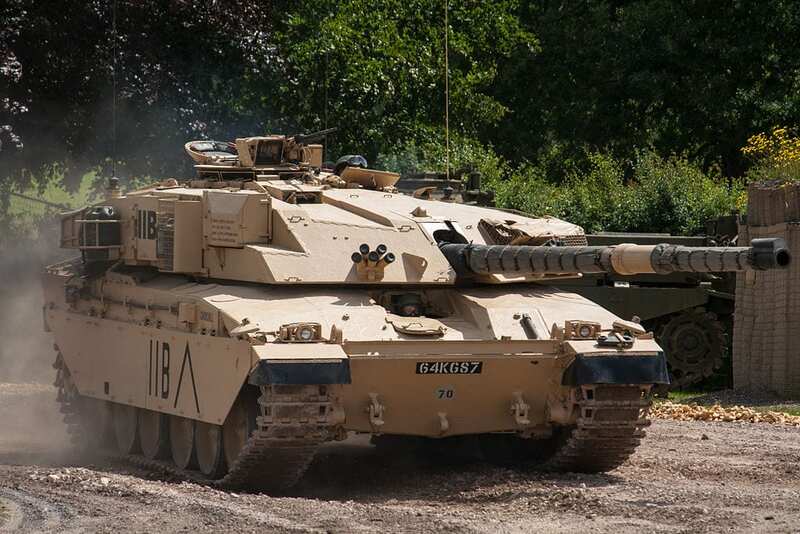 Mead has all types of tanks in his collection and he is the proud owner of the only Challenger 1 to be owned by a tank collector in the world. It is no wonder that people from all over flock to take rides in his tanks and that production companies call Mead to feature his tanks in their movies. 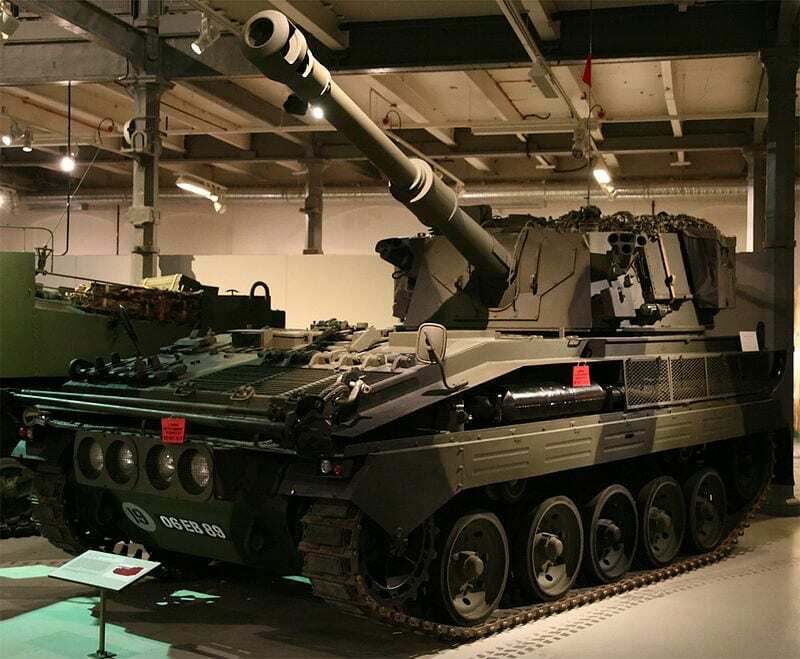 The fact that Nick owns a Challenger 1 has brought up many questions such as how did he get his hands on it? 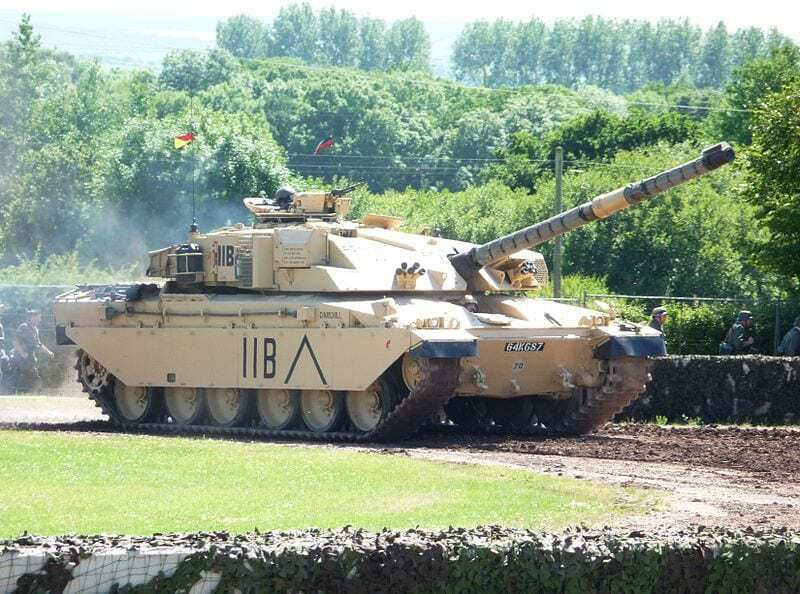 The tank is built in the U.K. and is still used by the British military in war. The fact that Mead owns one is extremely unique and has created some controversy. 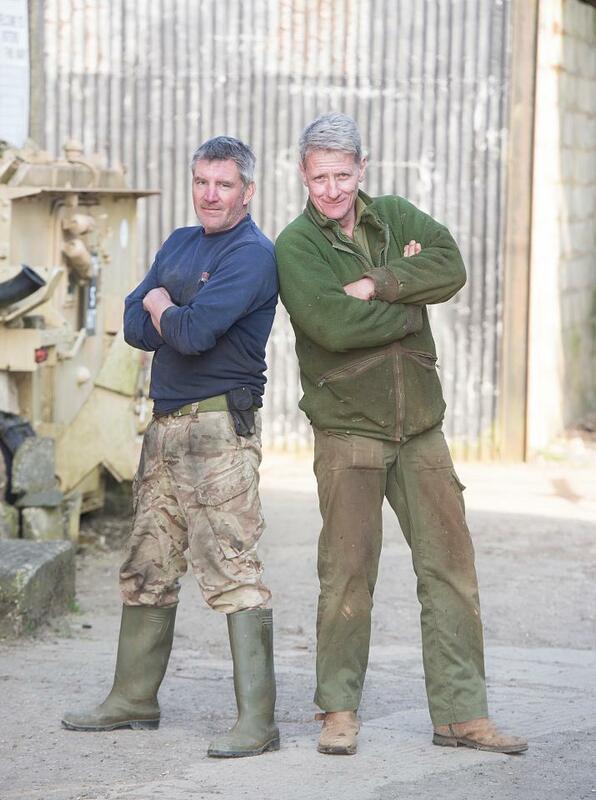 However, that was not the end of the interesting questions as many more mysteries were discovered around the tanks. Although it sounds like a plot out of a movie, Mead actually made a surprising discovery about a Russian tank. The T-54 tank was built in China but used by the Russian Army. This was a great marketing venture of Mead and he had many customers sign up for the experience. However, when Mead decided to purchase the tank, he never could have imagined the treasure that the tank symbolized. What occurred felt like something from James Bond’s life. The owner of the T-54 tank was Joe Hewes, who was only 23 years-old. Mead really wanted the tank as a part of his collection so he tried to strike a deal with Hewes. 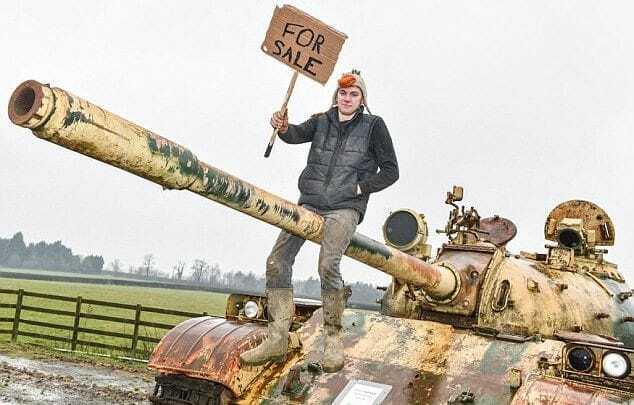 He offered around $40,000 for the tank as well as an army lorry and a a gun. We can guess that if Hewes was aware of what was hidden away in the gas tank, he would not have put his tank up for sale. The gas tank was the spot housing a hidden treasure. After Mead purchased the tank, it was clear that the previous owner had never inspected it and he had no idea about the treasure inside. It could have been that the tank was never used in battle and hardly ever driven. It was a collectors item and it was simply put on display. Because of this, no one was aware of true value of the tank. If the owner had simply taken a closer look, he would have been stunned at what he had in his possession. But before we get into what was inside the tank, we should learn a little bit about the history of vehicles used in the military. It is not always possible to know the history of a weapon used in war because militaries try to keep some secrecy around their war tactics. However, sometimes soldiers reveal information to the public about the experiences that have had in war. The background of the T-54 is a little suspicious. The tank was deployed in the Iraq war but it seems as though it was barely driven. There were only 1,500 miles on the odometer, which brought of the question of why wasn’t this expensive piece of machinery used. 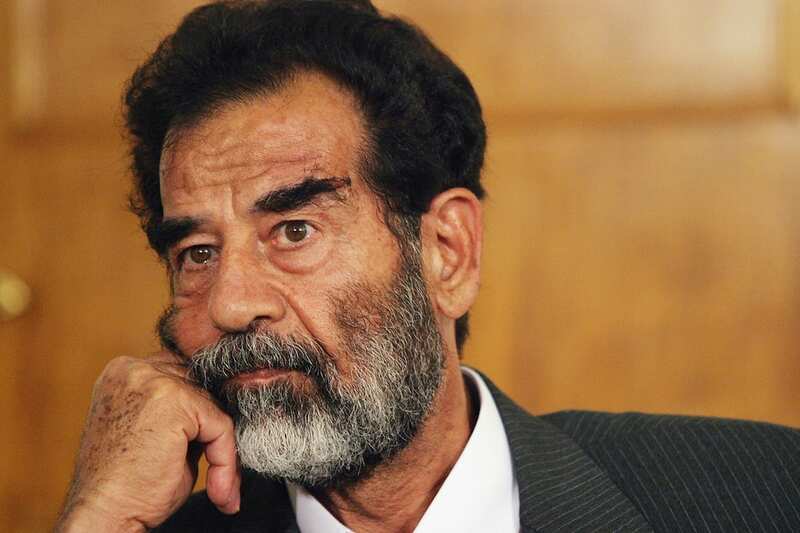 Could there have been a connection between the tank and the treasures that the former leader of Iraq, Saddam Hussein, had and what was found inside the tank? You might recall back in 2003, Hussein was removed from power after the invasion of Iraq. 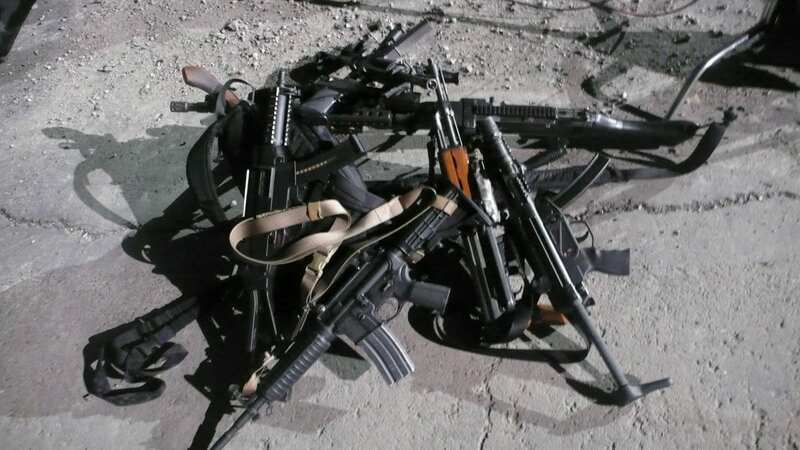 After his government was dismantled, it was discovered that Hussein was spending his wealth on extremely lavish items such as guns plated with gold and hidden stashes of gold and valuable items. He even allegedly had toilet paper made of money. Hussein gained power as a dictator in 1979 and after years of rumors, it was finally proven that he truly did have hidden treasures. In addition to the stories about hidden treasure, there were also horrific stories about violent acts that were committed including torture and thievery. Much of the valuable items that were discovered after Hussein was thrown out were taken and gold is still being found until today. 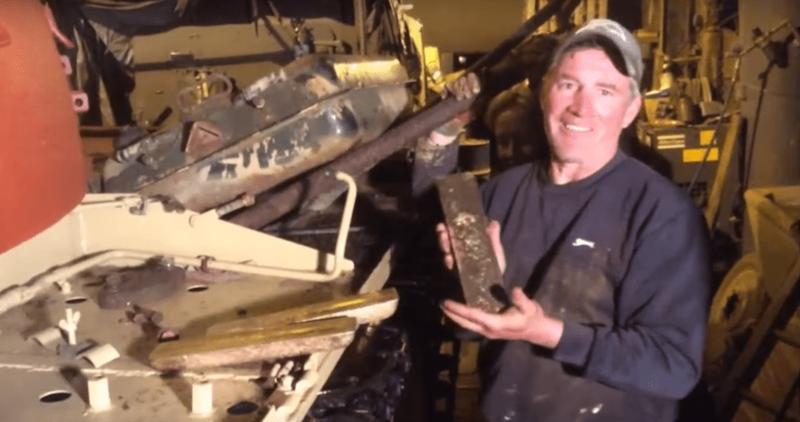 While there was gold hidden in odd places, one would not expect to find any in tank being used in an ongoing war. 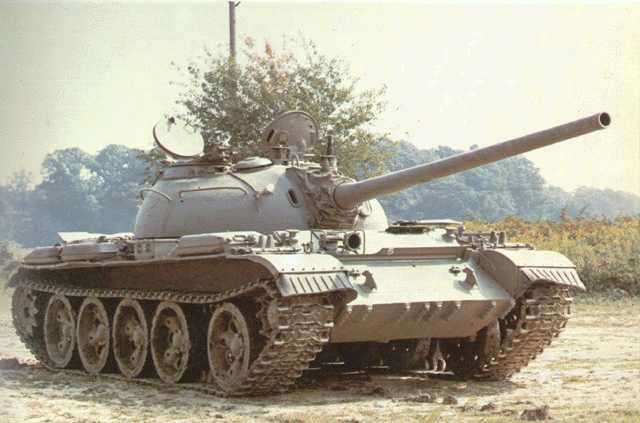 In order to further understand the story of the T-54 tank, we need to understand the history of the tank in Iraq to know how it could have been filled with treasure. 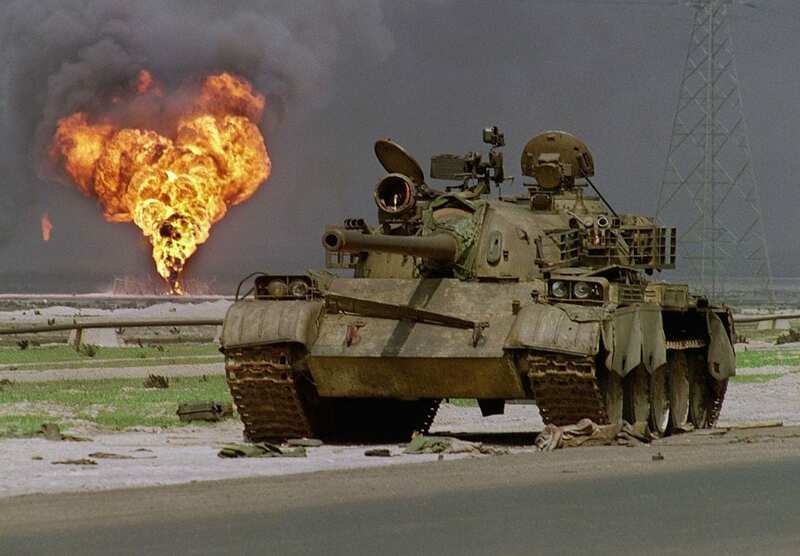 Tanks were frequently used in the Iraqi conflict and that was one of the reasons why there was a large death toll of the side of the Iraqis. Tanks were a valuable asset to have in the war but no one would assume that they could contain a hidden treasure. It does make sense that there were only 1,500 miles of Hewes’ tank as the tanks often did not travel long distances. The coalition’s use of tanks allowed them to win battles fairly quickly. In one instance, they were able to destroy fourteen Iraqi in a battle. 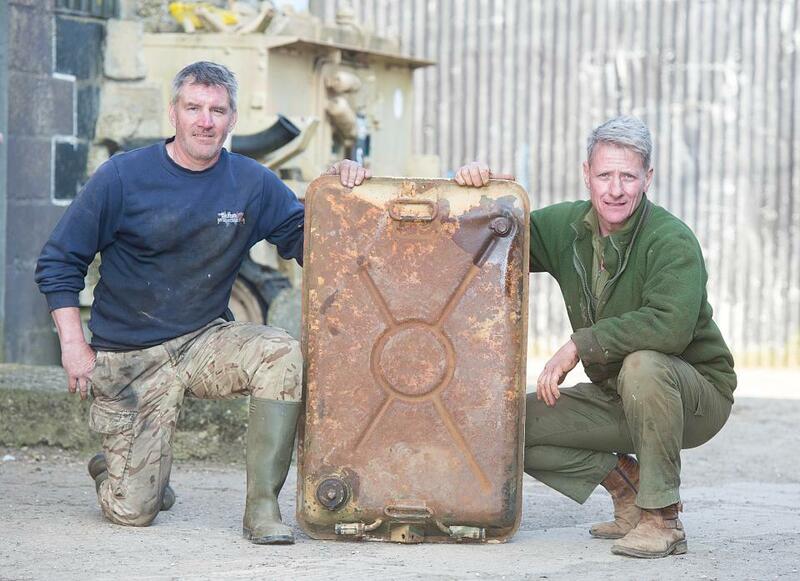 Nick Mead must have known that this was not unusual when he purchased a tank that did not have many miles on it. 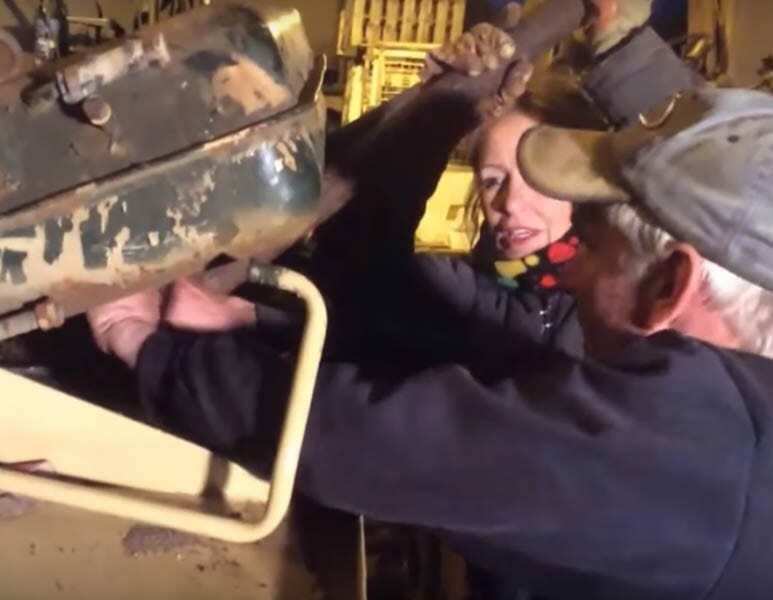 When Mead first purchased the tank he enlisted the help of a mechanic named Todd Chamberlain to do some maintenance. When Chamberlain started working on the vehicle, he made a surprising discovery. The T-54 was filled with loaded ammunition. The first thing that Chamberlain did was report the firearms to the local authorities. This was only the first of many discoveries to be made as Chamberlain would later unearth something worth millions of dollars. As Chamberlain continued to clean out and repair the tank in order for it to be used in Mead’s business, he made an odd discovery. Chamberlain was trying to open one of the fuel tanks on the tank but it would not budge. Chamberlain found this suspicious so he grabbed a crowbar and began to pry it open. He finally got it opened and reached inside. That is when Todd Chamberlain discovered something cold and heavy. Since he had just found a bunch of weapons in the tank, Chamberlain assumed that he had just discovered more or maybe some old parts in the tank. 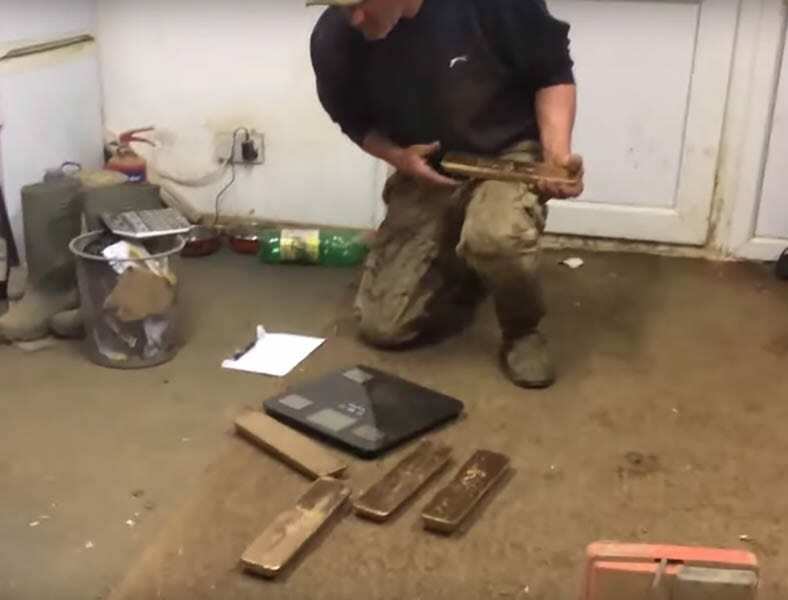 However, he soon realized that he had just uncovered a gold bar! 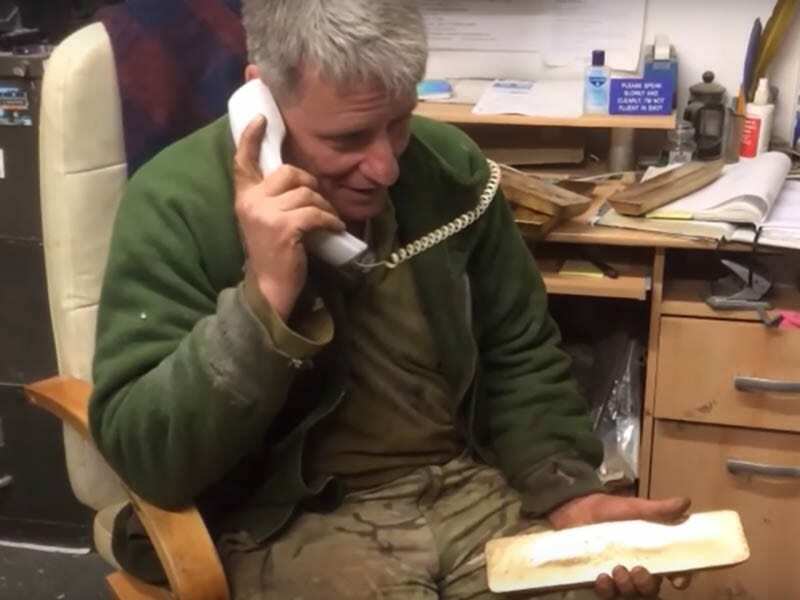 As he searched further, Chamberlain became aware that this was not the only gold bar. But who put it in the tank and how long had it been there for? You might have heard stories about miners who traveled to California during the gold rush in search of a fortune or someone who discovered something by accident. We can only imagine the look on someone’s face when they realize that they have discovered something worth millions of dollars. Chamberlain was ecstatic when he realized what he had in front of him. This was a rare moment that most people will never experience in their lifetime. He was truly in disbelief. After all the munitions they’d already found, the discovery of guns would have made sense. The fact that they kept pulling out bars of gold must have felt a little scary, as well as exhilarating. After all, somebody’s got to know that the gold was there, right? It was also a scary moment for him and Mead as they thought that people might think that they were thieves. They wanted to ensure that their names remained clear so they decided to film the moment so that they would not be mistaken for criminals. 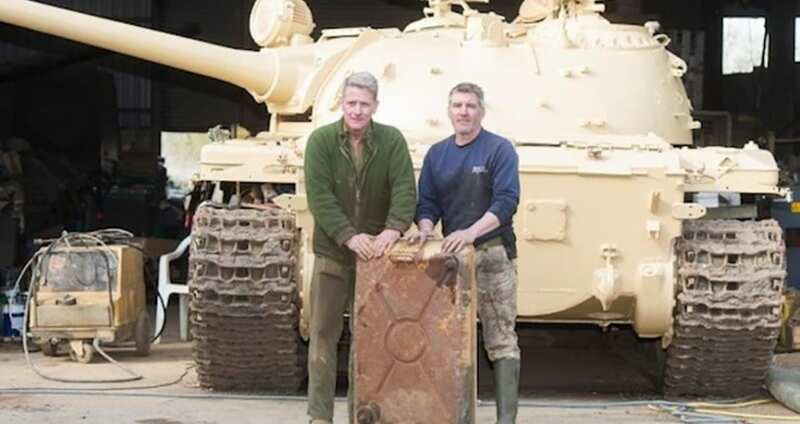 As one can imagine, this was a truly unbelievable discovery and the authorities would be suspicious if they found out that two men with a tank had multiple gold bars in their possession. The excitement in the room was palpable as Chamberlain began to pull out bars. Chamberlain and Mead knew that they were real as they felt the weight in their hands. They could not believe their luck as a discovery like this is just a fantasy that most people dream of. However, as the reality of their discovery set in, they could not help the questions from popping into their head. Mead and Chamberlain had many questions running through their minds after they realized what is their hands. 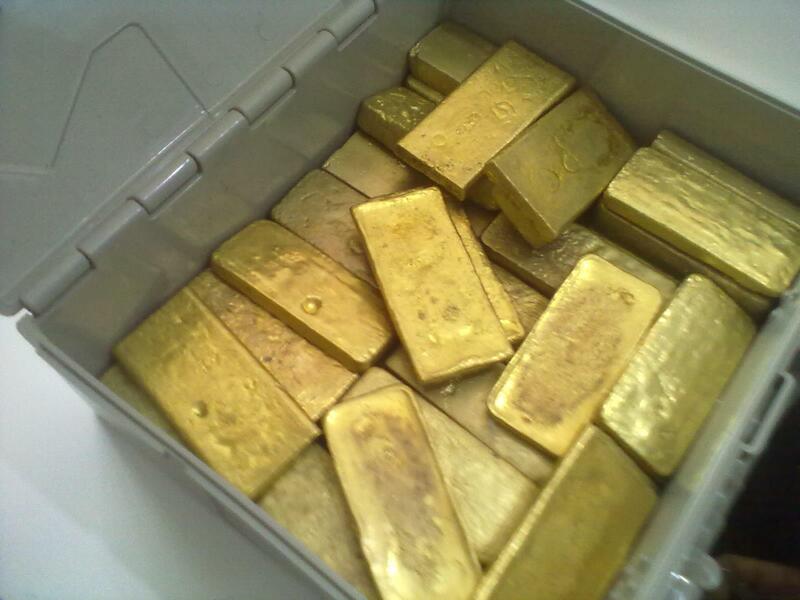 Who was the owner of these gold bars? Did they have to report their find and to whom? They were also wondering if these were hidden by the former Iraqi government as they knew the history of the tank. Would this further complicate the uncovered treasure? Nick Mead is an honest man and he knew he had to do the right thing and report the discovery to the authorities. When the story of the discovery hit the media, some were quick to criticize Nick as they felt he should have kept it for himself! Many treasure enthusiasts thought Mead was insane to give his discovered millions up. However, most people agreed that Mead did the right thing in being honest. 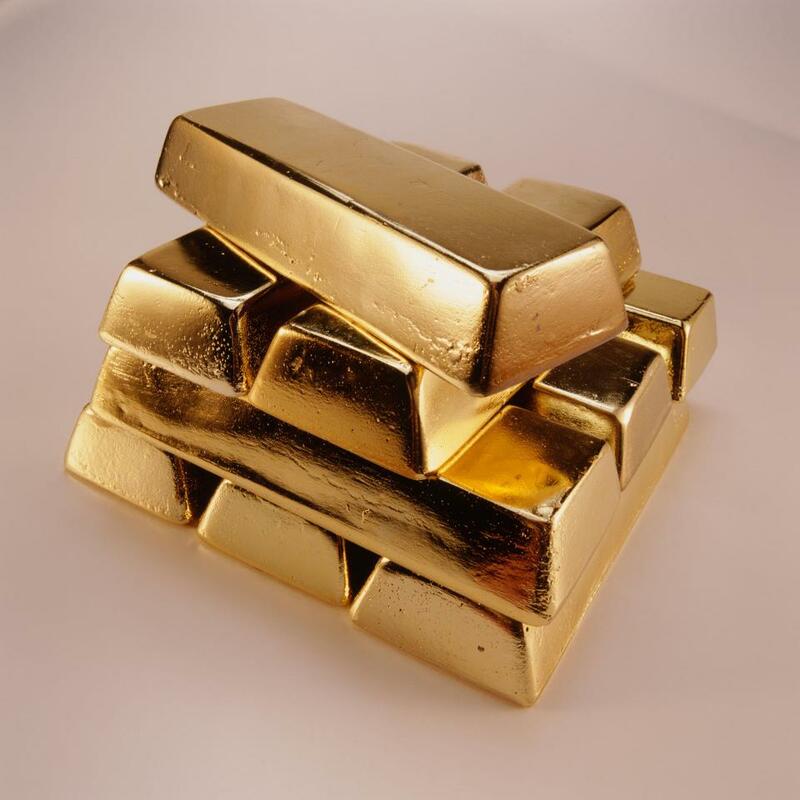 It was estimated that the worth of the bars was around $2 million. That would have been enough to really alter Mead and Chamberlin’s life for the better. Although they reported their finding, it was still an exhilarating experience for Chamberlain and Mead. They pair got their 15 minutes of fame from their surprising discovery. Their story hit the news and gained a lot of attention and went viral. The story inspired excitement in treasure hunters who read about it. It also created some controversy about where the gold came from and who had owned it previously. 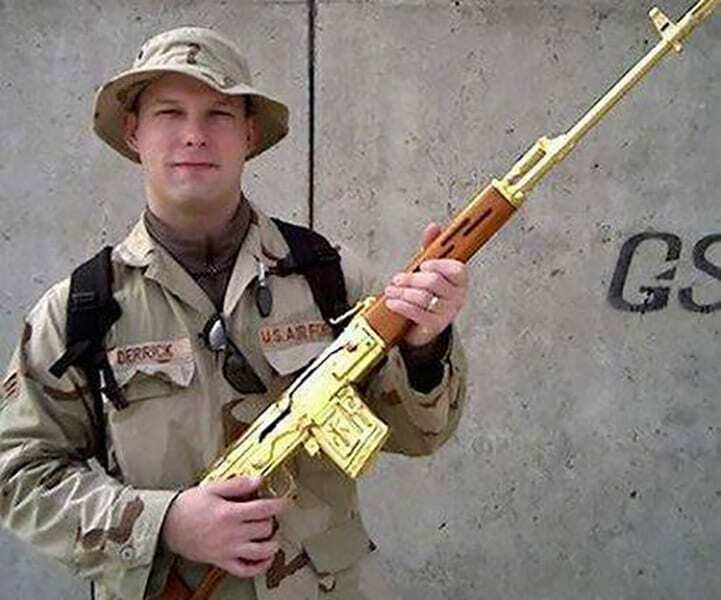 One might assume that since the tank was deployed in Iraq, the gold could have been owned by Saddam Hussein. However, there was no obvious evidence that it was the case. Chamberlain and Mead understood that if the gold was Hussein’s, there could have been many negative potential consequences so they reported it to avoid getting into an unethical situation. How many bars were there? After all was said and done, Chamberlain had uncovered 5 gold bars. This $2 million discovery was very exciting to Mead and his colleagues. Mead questioned his co-workers about what they would do with their share if they were able to keep the money. Some answered that they wanted to purchase Range Rovers while others answered in a more obvious way. They wanted to purchase a tank. Talk about employees who are devoted to their jobs. 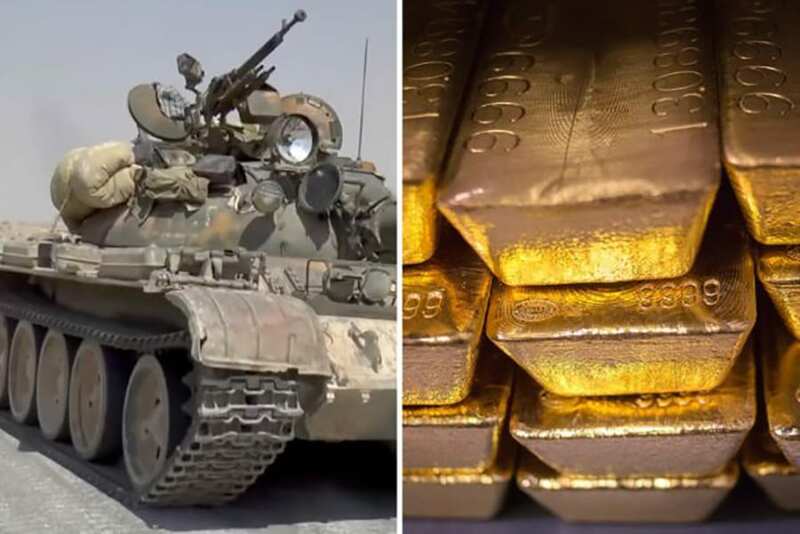 There was a lot of speculation around the gold and some believed that it could have been placed in the tank during the invasion of Kuwait by Iraq in 1990. Iraq was ordered by the UN to return any items that were stolen but many were hidden and not returned. Two police officers came to Mead’s farm to retrieve the gold bars and further investigate the situation. The investigators confirmed the suspicion that the bars were taken from Kuwait into Iraq in 1990. 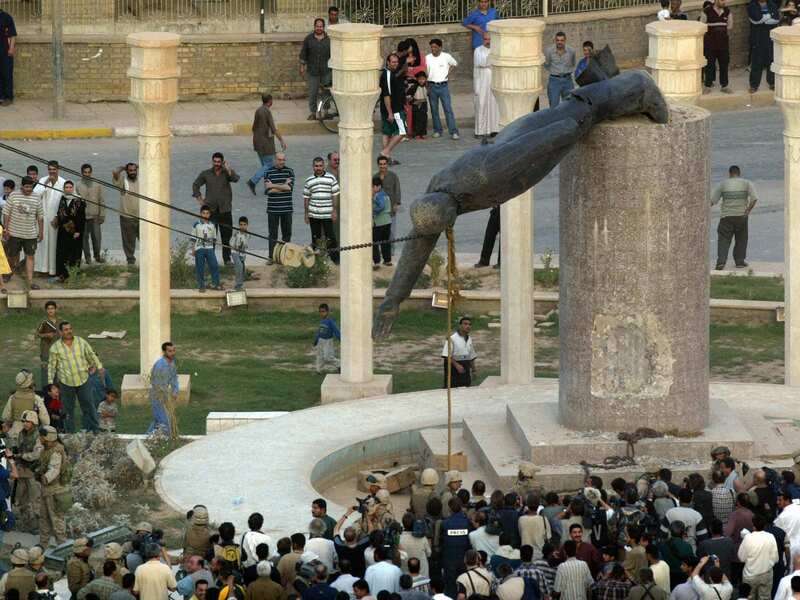 The conflict between the countries ended in 1991 and Iraq was ordered to return all of the stolen goods. However, It was obvious that some looters had hidden the gold in the tank and it was never returned. This was the most likely scenario but it could also be the case that it was hidden by Saddam Hussein. 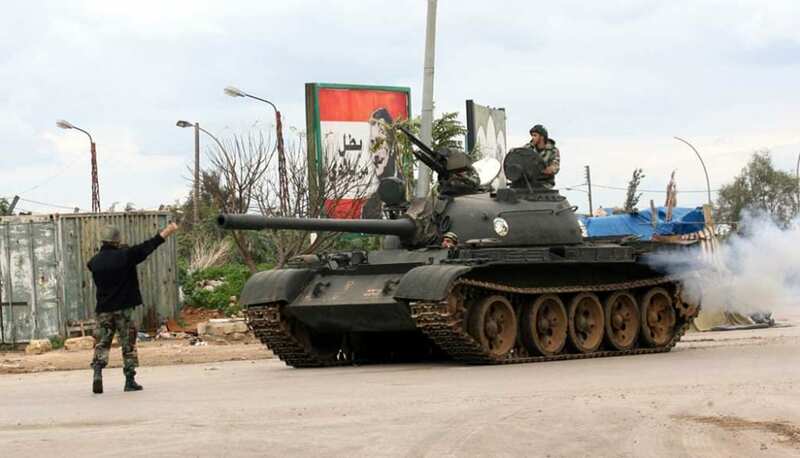 The T-54 that Mead now owned was used by the Iraqi forces during the Persian Gulf War. While many other tanks were either damaged or destroyed, this one was not and it was assumed that the tank just captured. The evidence suggested that when the coalition entered Iraq, they sold the tank after they ended the Iraqi forces advance. 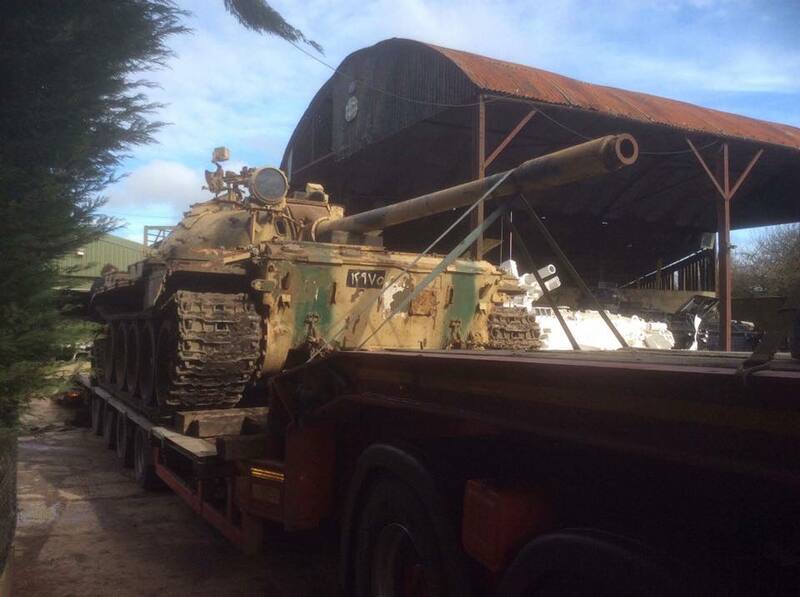 Many tanks were auctioned off when the war ended and that is how Mead ended up with tank. 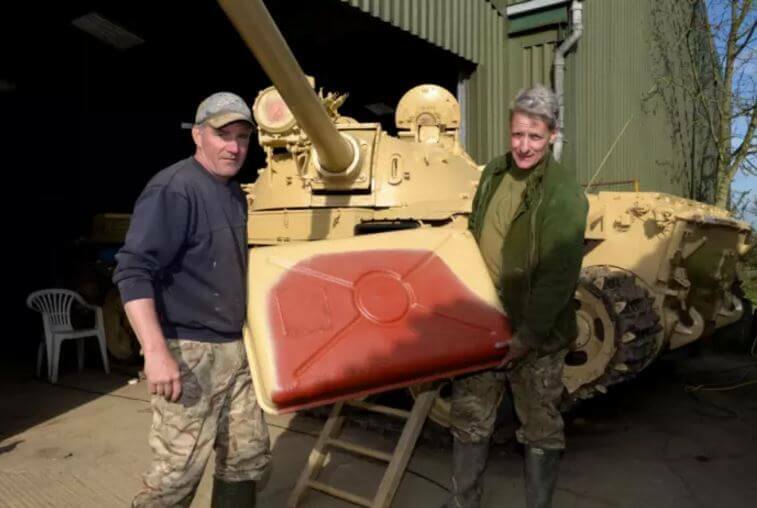 As Nick Mead began getting noticed in the media, people started wondering who this tank collector was. We already know that Mead is a lover of tanks and that he is the owner of Tanks-alot. Mead runs the operation, which is the reason that he alerted the authorities because he did not want to put his business in jeopardy. Mead knows a great deal about military weapons and he was so excited about the T-54 that he purchased i over eBay! 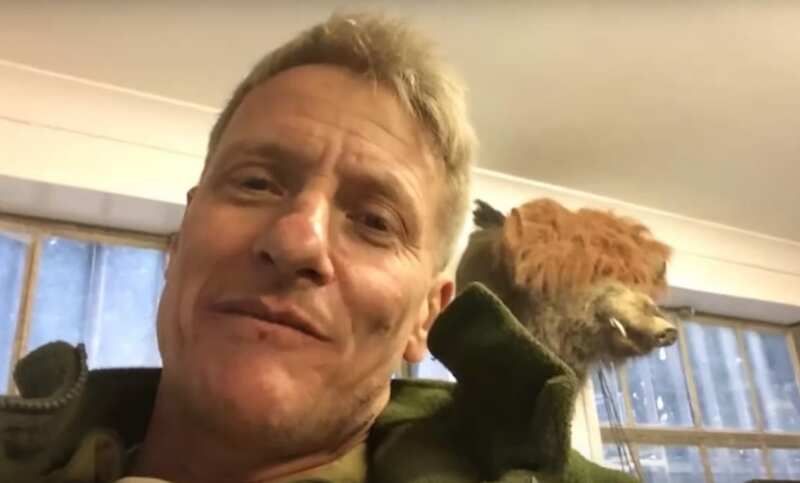 Todd Chamberlain was the mechanic who discovered the bars in the first place but he is also an army enthusiast just like Nick Mead. 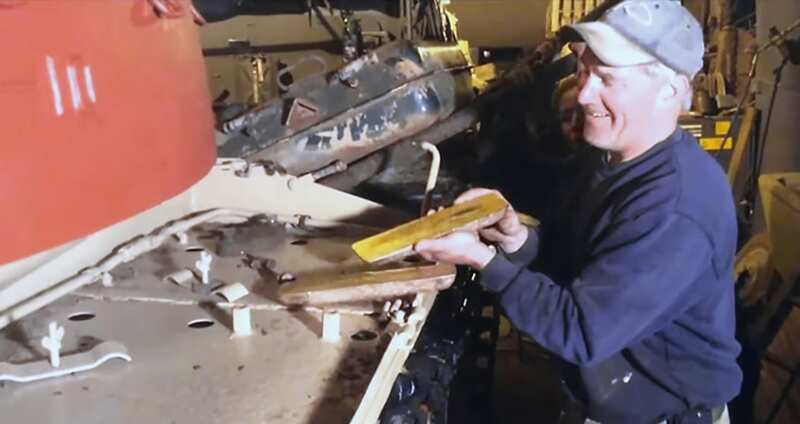 Mead employee Chamberlain as the mechanic of Tanks-alot and we bet he was happy he did after the gold bar discovery. After he discovered the ammunitions, Chamberlain did a full search of the tank, which is what led him to discovery the faulty fuel tank in the first place. Mead and Chamberlain were very smart for filming their discovery as the bomb squad showed up to the farm. However, since they videotaped the incident, it was proof that they had discovered it and they could not keep the gold for themselves. This prompted one commentator to say, “Delete the video and buy a car.” Although some may have deleted the video and kept the millions for themselves, Chamberlain and Mead wanted to be honest. 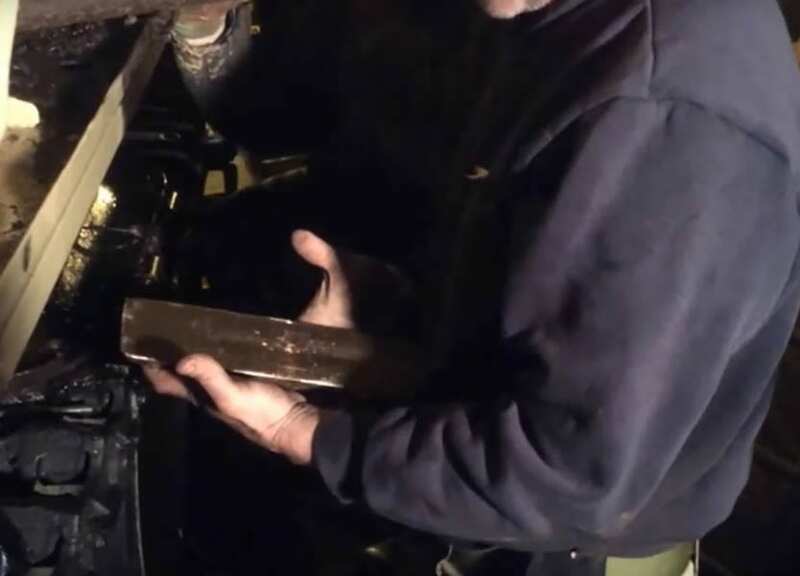 When Chamberlin first found the gold bars, they were very dirty after being is a fuel tank for so many years. He and the rest of the employees at Tanks-alot cleaned them all up and made them like shiny and new. 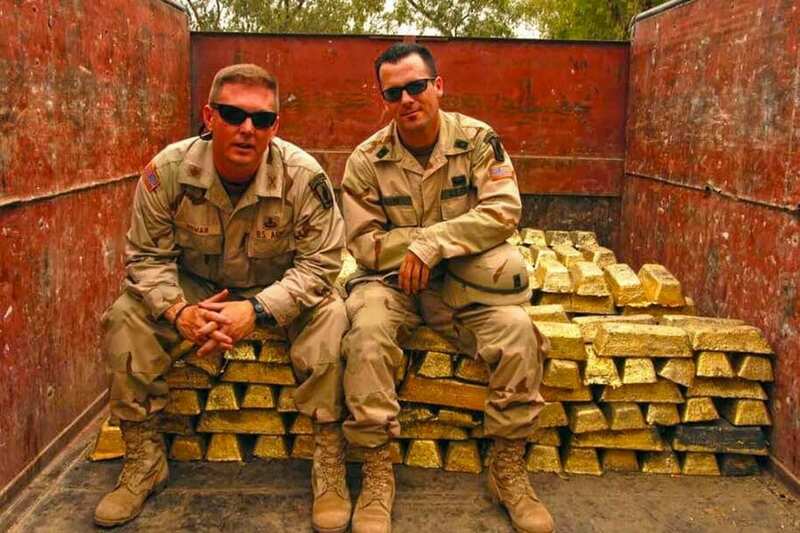 They were very satisfied with their work and it was the perfect time for a photo-op with the newly cleaned treasure. It was a great moment they shared before the bars were taken away by the authorities. Although many readers of the story want the men to keep the bars, in reality they probably would not have been able to trade them in for money. 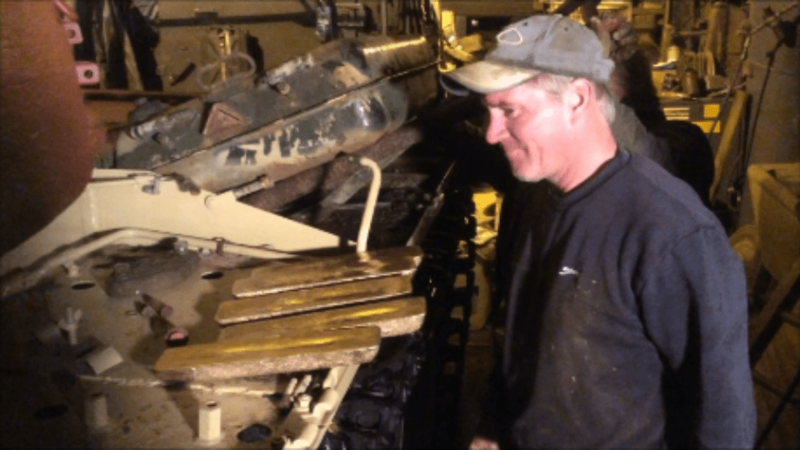 In addition to not being able to sell the bars, the whole crew of workers at Tanks-alot knew about the discovery. This means that all of the employees likely called their friends and family immediately after the gold was found and it would not have been kept secret for long. As well, they would have had to split the money so much that no one would have received a substantial amount. It is no wonder that so many were interested in this story of an unexpected treasure trove. 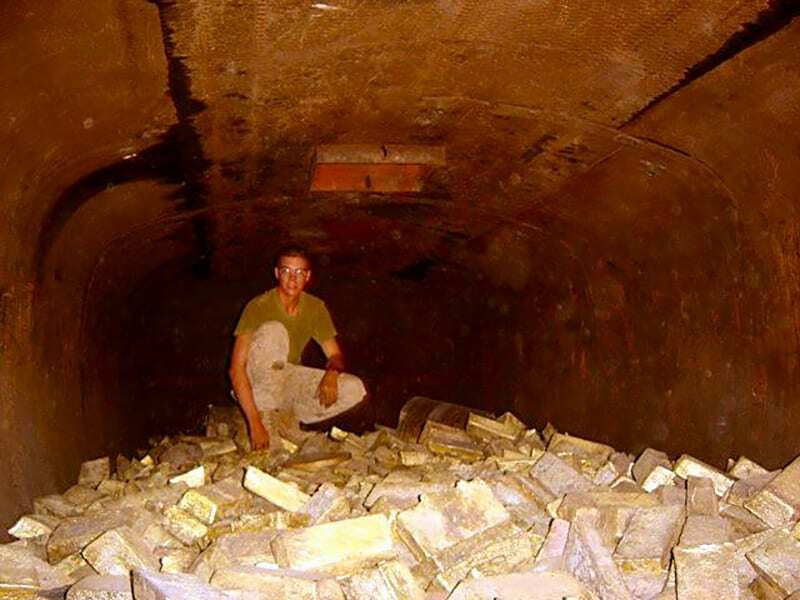 The idea of finding hidden treasure has been around for thousands of years and in the rare case that a treasure is actually found, people get excited and fantasize about what they would do if they made such a discovery. This story was particularly intriguing as the treasure was found in such an odd place. Mead and Chamberlain’s story was particularly inspiring because of their honesty. It showed the public that even when people are presented with a potentially unethical situation, they can still make the right decision. It was also depressing as this gold came from a violent conflict where many people lost their lives. The team at Tanks-alot provided a somewhat happy ending, however, as they gave the public an uplifting and influential story.